Micro influencer marketing is a relatively new concept for many, although it is one that has really picked up steam over the last year or so. Micro influencers in 2018 joined chatbots, artificial intelligence and video marketing as some of the newest and most effective marketing trends to hit the industry – and considering the large volume of brands using micro influencers currently, micro influencer marketing appears to be here to stay. A micro influencer by definition is an individual who maintains an established blog and/or well-respected social media channel(s) and uses those platforms to provide paid advertising for selected brands. If you’ve ever scrolled through Facebook or Instagram and come across one of your favorite bloggers promoting one of their favorite brands – that’s micro influencer marketing in a nutshell. Instagram micro influencers, in particular, are skilled at creating striking visual content that doesn’t necessarily feel like an advertising push but still manages to promote the brand in question. To be considered a micro influencer, an individual should have a robust, but not gigantic, following. A typical micro influencer follower count is usually in the range of 1,000 to 50,000 followers on any particular social media channel, with the most effective micro influencers having a following on the lower end of that spectrum. When the numbers get too high, you have to begin considering their status as micro influencers vs. celebrities; and when the shift begins to move into celebrity territory, engagement begins to wane because consumers are less likely to interact with what they consider to be out-of-reach celebs. Could My Brand Benefit from a Micro Influencer? In the current marketing landscape, utilizing micro influencers as part of an overall marketing strategy can be effective for many businesses and brand marketers. One major value of micro influencers is that they are often viewed by consumers as relatable and “one of us” – a particularly useful advantage for brands that market to the average consumer. With the “one of us” mentality in mind, micro influencer marketing can be incredibly effective in promoting trust and creating relationships with your audience. 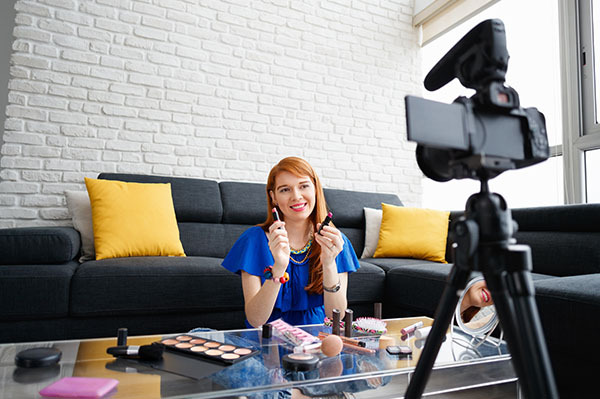 Considering the recent push toward a more personal marketing approach, using micro influencer marketing to target your consumers’ emotions can provide real, measurable results. Micro influencer marketing creates 60% higher engagement. Most social media influencer opportunities are underpriced and, as a result, are 6.7 times more cost efficient per engagement than other types of influencer marketing that have larger followings. A micro influencer drives 22.2% more social media conversations than the average consumer. How Do I Find the Right Micro Influencer for My Brand? You may find yourself to be one of the lucky ones who has a micro influencer already part of your social media audience. If this person is present and is already regularly engaging with your content, the first step has been done for you, and you would be wise to consider approaching them about the potential value they can offer your brand, and what sort of compensation you can offer them in return. Developing a micro influencer marketing relationship with someone who is already invested in your brand means they have an existing familiarity with your products and services, and there’s not much you need to do to convince them to become an advocate for your brand. If the above is not available to you, your first step should be to seek out a blogger or other social media influencer who shares many of the same values as your company, and who has a similar target audience to yours. And, just as importantly, you’ll want to look for someone who creates content of a high enough quality that you would want your brand to be associated with it. You will also want to look for someone who is eager and able to take on the following three responsibilities, which are key components to any effective micro influencer marketing strategy. Become a brand advocate. Consumers are more likely to engage with your brand if it is genuinely recommended by someone they trust. Tell a story. The most effective posts are ones that make an emotional connection with your audience. Run an ongoing campaign. While one-off posts can be great for promoting certain products or events, in order to truly build a brand, repetition and consistency are key. What is the Downside to Working with Micro Influencers? Micro influencers are called “micro” for a reason: they have a smaller reach than other types of influencers (like celebrities, for example, who may have millions of followers). This means they may also generate less brand recognition and awareness than you’d get from other types of campaigns. And considering it often takes a fair amount of work to find the right micro influencer for your brand, micro influencer marketing may not be the right approach for every company. But when micro influencer marketing works, it really works. To discuss whether hiring a micro influencer may be the right move for your brand, contact Paradigm Marketing and Design today to schedule a consultation.